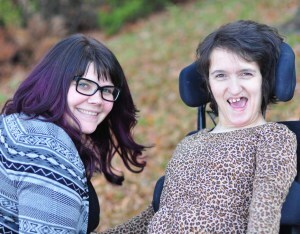 About Us – The Big Sky Centre for Learning and Being Astonished Inc.
We are young adults with (and without) complex physical disAbilities, friends, family members, faculty and staff from the University of Regina, community members, and teachers. On October 1, 2012 we expanded as a community of volunteers to become a community of volunteers and staff. We are passionate about inclusion. Inclusion is person specific; its outcomes are both individual and communal. It always begins with the dreams and hopes of the individual. In order to be included we begin by identifying where and how we want to be included, and then work with others toward attaining this. This can be challenging for anyone; but for young adults who do not use speech as their first mode of communication it is particularly difficult. Young adults with complex physical disAbilities are unique individuals with strengths and dreams and some common needs. We may need support people who know how to operate our respirators or our gastronomy pumps. We may need companions who understand our unique ways of communicating. We may need assistance to get into our wheel chairs, into our beds, into our world. We may need assistance with eating, personal care, medication. We may need assistance with transportation. We do need accessible transportation, housing, recreation, social leisure, and work places.